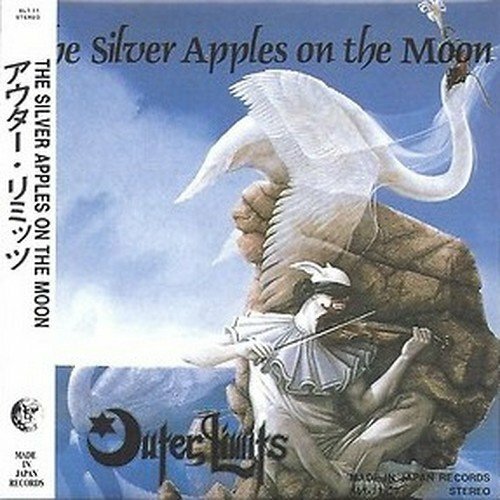 Outer Limits were a Japanese band from the 80s and this CD is a reissue of their swan song recorded live at NHK FM Radio Studios on 15 April, 1987. Consisting of two instrumentals and three vocal tracks, Outer Limits performed an energetic set of King Crimson influenced rock. The weakest element of this recording are the heavily accented English vocals. The only way I could understand the lyrics was to read along with the music. But that is a minor complaint as Outer Limits took King Crimson riffs and transformed them into a style of their own resulting in a more melodic music. Overall their music is aggressive and complex interspersed with the outstanding electric violin of Takashi Kawagushi. The low point of the album for me was "Marionette’s Lament," where the band seems to have lost a bit of their focus. Fortunately immediately following is "Misty Moon" which over its 11 minutes grows from its lyrical violin and driving bass to a majestic climax that would have had the audience on its feet and screaming for more. The final track (encore? ), "Beyond Good and Evil," is more of the same with an ambient interlude about half way through followed by multi-tracked “classical” violin. The Silver Apples on the Moon is sure to please the discriminating listener and comes highly recommended.